​ a world famous Sinclair site. 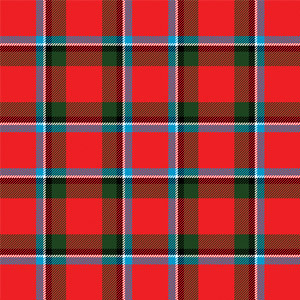 Clan Sinclair Association, Inc. (USA) is a non-profit organization whose membership consists of descendants and friends of the Scottish clan (family) of Sinclair (St. Clair and various other spellings). Its purpose is to promote and perpetuate family tradition within the context of Scottish history and culture. Clan Sinclair is represented worldwide by associations in Australia, Canada, New Zealand, Italy, Scotland and the United States. 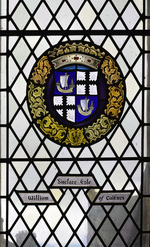 The Patron of these companion associations is the Right Honorable Malcolm Sinclair, Earl of Caithness, Hereditary Chief of the Clan Sinclair. Clan Sinclair USA was founded in 1978 under the impetus of Dr. Edward Sinclair, then President of Clan Sinclair Canada, the Right Honorable Malcolm Sinclair, 20th Earl of Caithness, and David Sinclair Bouschor. David was the Association’s first President, holding that office for 20 years from 1978 through 1998. He was succeeded by Bradley Sinclair Barker. Donald L. Sinclair was the Association’s third president, holding that position from October 2001 to year’s end 2005. At a meeting convened on July 26, 2005 at the International Gathering of Clan Sinclair in Thurso, Scotland, USA Association members in attendance elected Melvin “Mel” Sinclair, Jr. as their new President. Mel, formerly Commissioner for North and South Carolina, took office on January 1, 2006 to serve a four year term. He was re-elected in 2009 to serve a second four-year term. Frederic J. Inkster of Roseburg, Oregon, served as Association President from 2013-2017. Our current Clan Sinclair USA President is Tom H. Robinson of Dallas, TX. 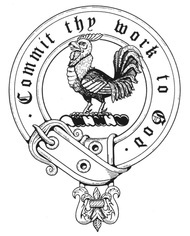 Membership in Clan Sinclair USA is open to persons with the surname Sinclair (and its various spellings), descendants of a Sinclair, members of septs and adherent families and friends of Clan Sinclair. No proof of lineage is required. There are presently two classifications of membership: Membership (includes spouse and minor children) and Sponsor Membership. Membership forms can be downloaded from this website and are also included in the Association’s quarterly newsletter. Yours Aye, the official newsletter of Clan Sinclair USA, is published four times a year. The newsletter is mailed free to members as one of several benefits of membership. Through its appointed Commissioners, Clan Sinclair USA hosts clan tents at many of the Scottish Games and Festivals held annually throughout the United States. (click on “Scottish Games” menu to see the calendar for upcoming games). Whether a member of Clan Sinclair USA or games/festival attendee, please feel free to stop by one of our tents where you will be warmly received!